You want to start your car on a busy day. As you insert the keys and swish, you just hear some irritating clicking sound. The dashboard is completely black and there is no sign of hope. The battery is dead! What is the next step? How can you correct this problem? The jumper cables are normally short, thick and well insulated. Therefore, you have to bring the cars as close to each other as possible. According to Meineke, the two cars should be separated at least 18 inches or 46 centimeters from each other. Make use of standard jumper cables. You should have one black and well insulated cable and a red one. Check to make sure that the crocodile clamps at the end of each cable are properly secured. The cables should be insulated excellently. This is a very simple but critical step you need to take care of. If the cables are not long enough to run between the two cars, you need to know. Otherwise, standard jumper cables are normally short but long enough for the task. In you are getting ready, make sure that the bonnets are opened and secured correctly. Different cars have different ways of opening and securing the opened bonnet. Ensure that you do it correctly for each of the cars. The batteries for each of the cars should be located after opening the bonnets. Sometimes we struggle to find the batteries because we are merely looking in the obvious places. If it is not in front, check the user manual to see where they have hidden it. First, connect the positive jumper cable to the positive terminal of the dead car. Then connect the other end to the positive terminal of the charged or live car. Please, see to it that the crock clamps never touch even at this stage and all the way. Now connect one end of the black jumper cable to the live car. Next, connect the free end of the jumper to the car body, chassis or some exposed metal part of the dead car. According to Johnson controls, it should not be connected to the negative terminal of the battery. When the cables are connected, it is easy to assume that they are secure. But that is not always correct. Physically test how secure they are. Loose connections on prime components like the battery can be fatal. With the two cables securely connected, start the engine of the live car. To ensure that you have sufficient charging, run the car for a minute. While it is running you can also rev the engine for increased charging rates. Now that you have managed to run the car for a minute, stop the engine. Disconnect the negative jumper cable followed by the positive. Then try to run the dead car. If it runs, it should have been charged by now. So it should start normally. If you can not find another cars near you, it will be a good idea to buy a jumpstarter. 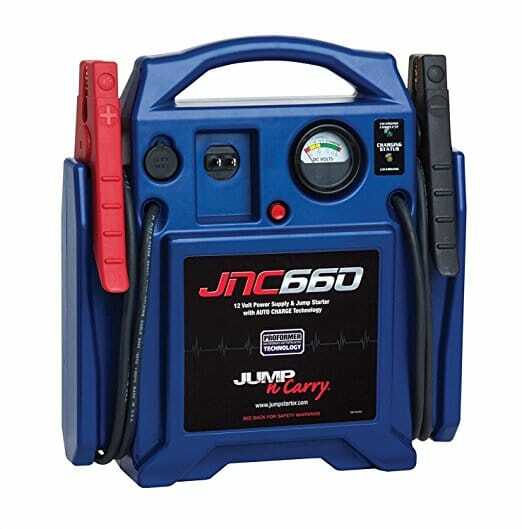 The process of using of jumpstarter is the same like you use another car, but you don’t need another car. Actually, jumpstarter is a big powerbank. When running the dead car, be patient and know your car. In some cases, this could take just a single cranking and the car is back to life! But in other cases, this could take at least more than one attempt. Psychologically, this can be expected. Some batteries have slower charging rates. With the life of a battery replenishing as it approaches its expiry date, this is expected. Therefore, to be sure, run the live car for more than a minute and rev. If the jumpstarting has failed, it could be that the alternator was unable to charge the battery. 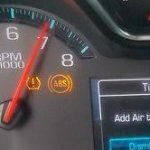 Therefore, if you have a voltmeter, check how it goes up while the engine is running. If the voltage goes up above 13 volts, then it’s okay. If the voltage remains the same, then the alternator may be faulty. Some batteries are meant to last between 4 and 6 years. Therefore if the battery has been working for the past 4 years or so, it could have reached the end of its life. In such a case, the battery may need to be replaced. Check manufacturer specs before making any conclusions. If there are any open buy crestor uk lines or loosely connected cables in the starting system, they may be causing the problem. One recommendation that meneke has always talked about is to ensure that the crock clamps are properly secured. If every trick you have tried seems to be failing, you could be rushing the process. Take heart and make sure you explore every option before running to any conclusions. It is always good to try each option more than once before making a conclusion. When connecting the jumper cables make sure that you start with the dead car. The dead car does not have the damaging power to cause sparks. If you start with the fully charged one, the risk of things going wrong is high. The correct size of cables is important because an incorrect size can lead to problems. If it is too thin, there are dangers of heating up and causing other problems. If they too long, this may result in power loses. Jumpers that have been used for a long time have their insulators split open and exposed. When using such, make sure that they are covered with proper insulation tape before you start. This avoids any imminent short circuits. If within your reach, please put on the correct gloves to insulate your body against electricity. If you touch the terminals with bare hands avoid touching the metal parts of the car. 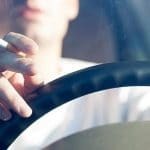 Many people don’t see the danger but especially when dealing with high bride cars, the danger is high. To complete the circuit, it is advisable that you never connect the black jumper to the negative terminal of the dead car. This can cause sparks and which could even lead to an explosion. The hydrogen that escapes from the battery is fuel to which can ignite with any spark. The last time someone saw me refer to this, he thought I was joking. Yes, wearing goggles is important because of the unforeseen occurrences. Some sparks may just fly in your face unexpectedly. You need to protect yourself. Always countercheck before connecting. Make sure that the red cable is connected to the positive while the black one to the negative. If they are swapped sensitive components can be damaged easily. Throughout this operation, practice the separating of the two terminals. They should never meet. I always say that as long as you are going to connect those cables, treat them as live. You can easily cause a lot of damage. The idea is to bring the two cars as close to each other as possible. But they should not touch. Allowing them to touch would be dangerous to the whole circuit you are making up. When we are desperate, we easily make mistakes. If you are using a light truck which could be running on 24 volts, make sure the other car has the same arrangement. A 12 volts battery should not jump start a 24 volts size. Who should do the jumpstarting? This is the most common question I get whenever this matter arises. Jumpstarting, as you have seen, always needs all safety precautions to be done. No shortcuts and no trial and errors. Therefore, who should carry out this task? Is this a task for men? Naturally, many recommend that this should be carried out by men. This could be right only if they are technical men. Therefore, it is not about being a man but having the right knowledge and skill for the task. As earlier stated, it does not matter as to who is at it. Following the instruction above does not require special people. It only requires the person who is attentive to detail. Whether male, female, young or old the one following the above instructions can manage. As the foregoing shows, the bottom line is ensuring that the instructions are clearly understood. If anything is not clear, the user should not resort to personal opinion. No chances should be taken here because lives and expensive equipment are involved. What if I am jumpstarting a complicated modern car? When a modern car has given you battery problems, don’t just rush to jumpstart. First, if you have any user manuals, read carefully. Within the manual, you will be shown the right point to connect your negative from the live car. Otherwise, most of the cars coming on the market are not supposed to be jumpstarted the way other ordinary cars are done. The danger is that many small and delicate components would easily get damaged in the process. Look out for any alternatives to the problem as specified by the manufacturer. Additionally, it could be even safer to bring in a new battery from another source. Otherwise, you can even bring in another battery in your vehicle before cranking. With modern technology, a power bank has become a very useful tool in such emergencies. Ensure that they are fully charged whenever you have finished using them. You just connect it via a cigarette lighter and its power will do the rest. Otherwise, if everything else has failed, there would be nothing wrong with getting a second opinion from an expert. It could be a small thing you might have been overlooking all this time. But with the expert your first time attempt will easily be refined.